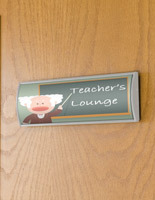 These Office Signs Can Accommodate a Variety of Signage! 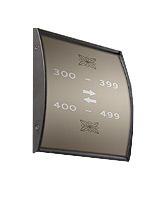 These Architectural Signage Holders Are Corporate Signage Displays for Lobby Way Finding! These Office Signs Are Ready for Shipment! Available with no-glare lens that protects signage from sun damage. Comes with a suction cup for lifting the overlay so graphics can be easily changed out. Comprised of aluminum extrusion and built to last. These office signs feature sleek black frames, which provide a neutral coloring to coordinate with many indoor atmospheres. The black color also coordinates with most inserted graphics. 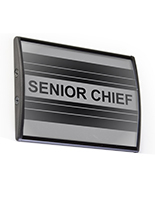 These office signs may be implemented to best present the name of an employee or business. The holders may also be used in multiples to present an entire directory or offer way finding! 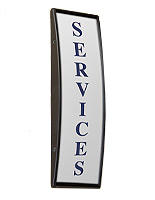 These office signs feature a concave shape to entice customers to take a look. 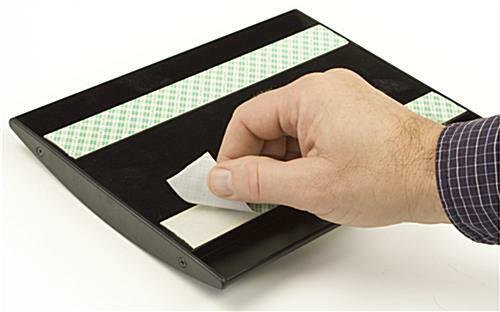 The wall sign holders include double-sided adhesive tape on the rear of the units, which makes them easy for users to install. These office signs, which are great for way finding, are capable of presenting the information in either landscape or portrait format to best show the material. 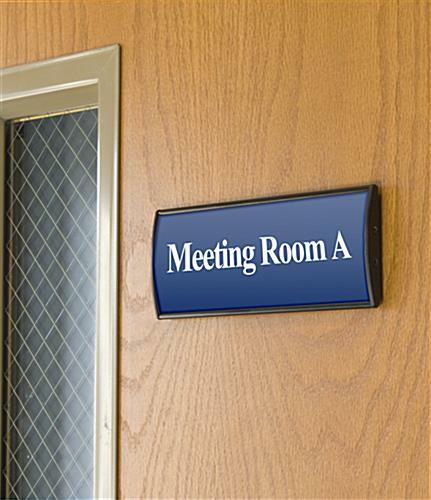 The sign systems are ideal for use in all sorts of corporate areas like boardrooms and conference areas. 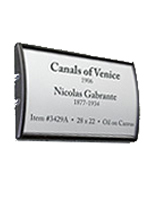 These office signs, similar to name displays, are upscale options for the various corporate display desires. 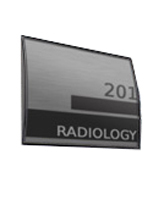 The name holders have an anodized aluminum construction for durable units that will last a long time. 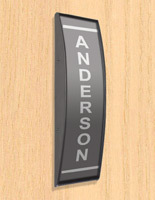 These office signs are highly affective ways to present room numbers, emergency information, department titles or employee names. There are no printed images or graphics included with purchase. Nonetheless, these office signs let users create and then print artwork quickly with just a regular printer. This alleviates the necessity of going to the printing press. These office signs come with an acrylic non-glare lens for durability. 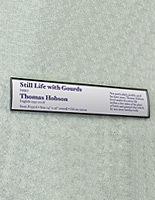 The front protects the inserted materials while stopping glare from affecting the view of the message. 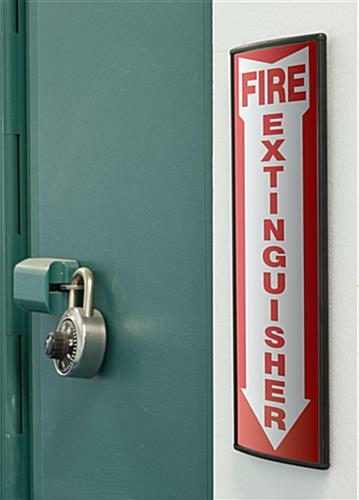 These office signs, similar to sign holders, are also equipped with a suction cup. The suction cup lets users lift the no-glare overlay and make the necessary alterations.